When it all gets too much and you need to retreat behind a pair of sunglasses or the sun comes out (well, the chance would be a fine thing in London) get your eyeballs behind a pair of these Maison Martin Margiela sunglasses. 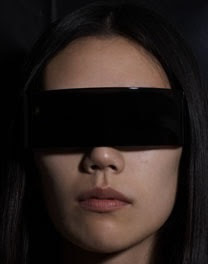 As you may have seen from Margiela’s runway pictures he likes to black out the eyes of his models. 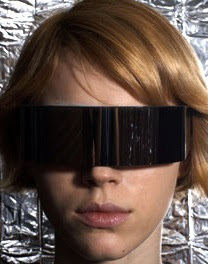 Margiela has put down his Sharpie and given his models a pair of his ultra slick sunglasses. So, whether you’re looking out onto Lake Como, on board your 100ft yacht wearing Pucci swimwear or chopping an onion in your flat in Dalston, make sure your eyes are protected by a pair of these Margiela sunglasses.